Military families agree that each PCS unearths a new tip or trick that makes the move easier or more organized. By the time my family has perfected the art of the successful move, I am sure it will be our last! 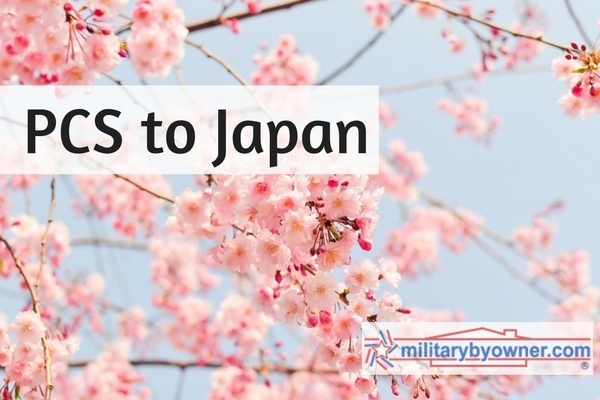 One of the best ways to prepare for an overseas relocation is to reach out to your friends and their friends and ask for advice, especially for a destination like Japan. 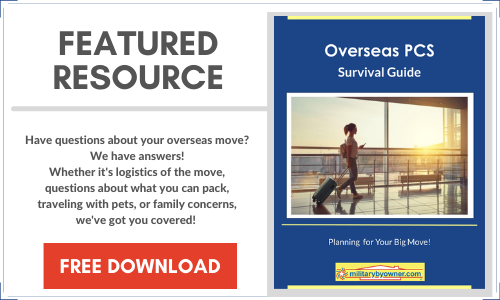 I was curious how an international move differs from a stateside move, so I reached out to a long-time military spouse friend with loads of experience in locations such as Europe and Asia. Megan responded with suggestions for making a successful transition to Japan. These are nitty gritty solutions that extend beyond the typical pre-planning move advice offered by unofficial or official sponsors. In addition to readying the all-important electronic devices and stash of snacks, she proposes a run through the local dollar store for gifts to unwrap when the kids won’t tolerate another episode of My Little Pony. No worries if these cheap toys are broken or left behind on the plane! If you have an infant, she highly recommends using the bassinet option some airlines offer. They flew United Airlines and, thankfully, the military paid for the bassinet. It saves everyone a little sanity with baby safely in her own space. Kids are messy and need changes of clothes. Pack those in a convenient location on board (preferably in zipper bags for reuse later) and add a comfy outfit for yourself, just in case the kids can’t handle turbulence. Stash packs of cleaning wipes in the kid’s bags, your purse, and any personal carry-on, in addition to the seat pockets. They clean kids, pulldown trays, and drink containers. Megan also uses a cheap technique to protect strollers in transport: buy a twin size mattress cover and duct tape it securely around the stroller. If it survives, wash it and stow it for your trip home. Megan arms herself with technology such as HyperDia, an app that calculates routes, times, distances, and fares for trains and planes throughout Japan. It also offers maps and regional information for many popular sites. She finds it invaluable because it offers English options. She also urges utilizing the MWR’s minivan rentals to avoid costly tolls. If you have lived abroad, you can understand that sometimes you want to enjoy the comforts of home found in the United States. Megan’s family finds refuge at The New Sanno Hotel in Tokyo. It offers American-style amenities and rates based on your military rank. If you have familiarity with the Armed Forces Recreation Centers, The New Sanno is similar, but is operated under the U.S. Naval Joint Services Activity. Often the most difficult part of an overseas adjustment can be the housing. Megan’s experience with the homes on Camp Zama sound very similar to other spouses I have heard from stationed in Japan. They are small, unattractive, and very close to one another. She heartily suggests bringing decorating options such as rugs to make the new space homey. She also advises bringing as many Christmas decorations as possible, as they are hard to come by. Luckily, all 120 volt appliances work in the housing there. Another suggestion is to make friends quickly with your surrounding neighbors. We all know how those relationships can make or break a PCS, especially in close proximity. Bikes are a must for the family to travel on base easily, although families also purchase cars from the rotating “cheap, used car” operation that remains popular with military in foreign countries. Megan’s family includes several children in a wide age range, and it never ceases to amaze me how she manages to prepare and execute so many adventures where she doesn’t know the language or geography!